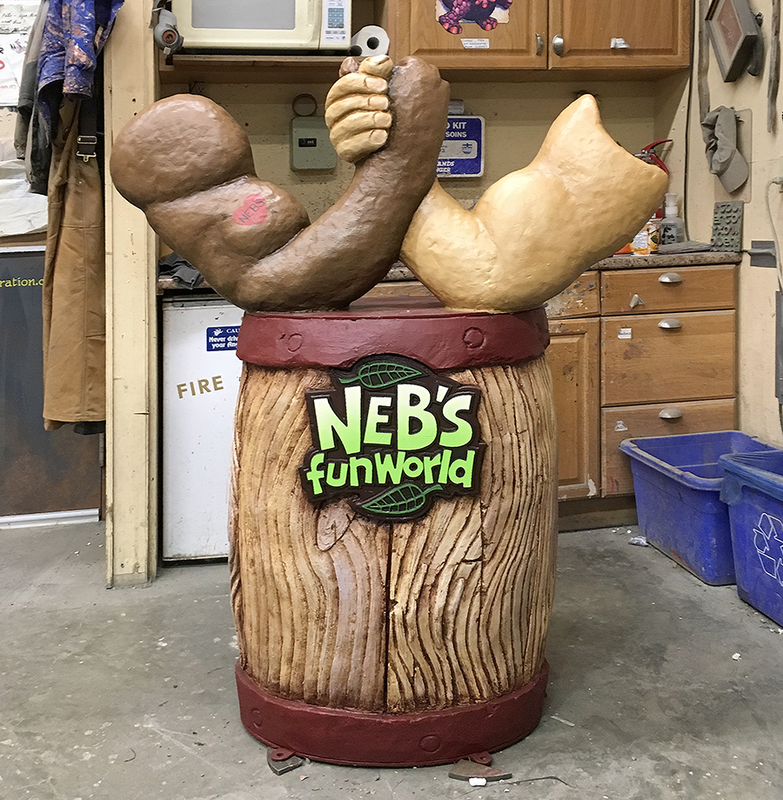 All of the features for the NEB's Pub project is now on the way to Oshawa, Ontario. We loaded up the last of the pieces into the transport truck on Friday. I though it would be a good thing to post a picture of the finished arm wrestling photo op before we moved on to other things. The last time I posted it the sculpting was still underway.